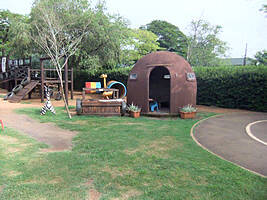 Little Red Hen is a pre-primary school catering for children from the age of 4 months old, through to Grade R/0. 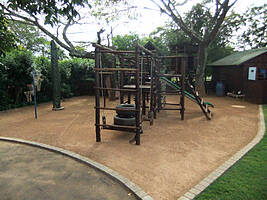 The school is situated in the heart of Winston Park (a lush suburb on the outskirts of Durban, KZN, South Africa), and is ideally suited for families living in the surrounding suburbs of Winston Park, Gillitts, Hillcrest, Assagay and Kloof. 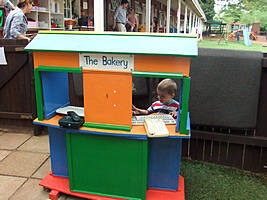 The story of the Little Red Hen who started out with a grain of wheat aptly describes how our school, with a handful of pupils, and a vision for the future, was started in 1987. There was only one Pre-Primary school in the Hillcrest / Winston Park area and being educators with a firm belief in the value of a good foundation in the formative years, our school grew with care and nurturing until we were able to purchase a piece of land ten years later and build a school. The school continues to flourish with the caring attitude of family members spanning three generations. 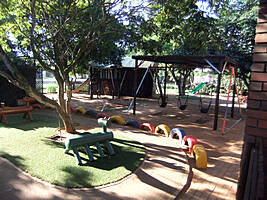 The school has six classes, an Audiblox centre and a Montessori centre. The Scratch Patch playground is completely fenced off from the older children. 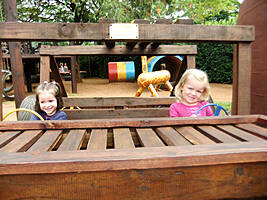 These children have their own swings, jungle gym, cycle track and Sensopathic trays. This ensures the safety of the smaller children at the school, and helps prevent playground accidents. 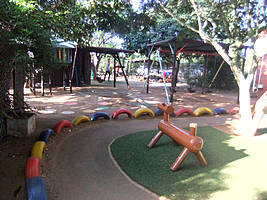 The top school playground is well equipped with lovely apparatus for gross motor development and sensory learning opportunities. School starts at 8am Monday to Friday and closes at 12pm. Children can be dropped off from 7.15am, and must be collected promptly at 12pm. An aftercare facility is available until 2pm, 3pm or 5pm. See the Fees & Forms page for more details. An early bird drop off service is offered for early risers.